PMR Consulting philosophy is to be a first class supplier of information in its chosen markets, meeting or exceeding client expectations, while providing superior levels of quality and customer service. We want to remain focused on solving our clients’ real problems: giving great value for money by providing genuinely valuable information and services, saving our clients’ time and money, and helping them to be more successful. Our commitment is to focus on our clients and to find solutions to the challenges they face. We offer value for money by providing up-to-date, high-quality information. 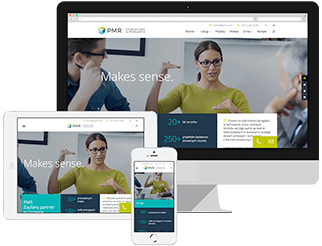 PMR’s approach ensures our clients save money and have information capable of adding real value to their business. We are committed to serve our clients with exemplary customer service, high quality, professionalism, on time delivery, and excellent communication. We will always respond to you within 24 hours (during working days). We ensure excellent communication, before the project starts, while developing our approach, through regular progress reporting and conclusions’ presentation. We will make sure that you are properly informed and have opportunities to comment and give feedback. We ensure that you are informed about the progress of the project, any potential problems and about important information received which can influence the conclusions. We will always do our best to achieve the results and bring added value to our client's business. If we don't know, we will find out. We respect any confidential – commercial, business or private – information that is provided to us. Providing the highest quality services to our customers is our priority. We want our customers to feel assured that our services will meet their quality requirements. We continually improve our methodologies, tools and services. The continuing evaluation and improvement of our quality will assure you the highest degree of confidence in our services. If you want to share anything with us or want to express your opinion on how we could improve our services or customer service, please contact us.